Two out of the three remaining Reddit programmers quietly left the social news community last week, Mike Schiraldi going to Google and David King going to Hipmunk where he joins Reddit co-founder Alexis Ohanian. This means that the over one billion page view a month site is currently running with only one developer (Neil Williams, hired in November) and two sysadmins until it can hire new engineering staff. 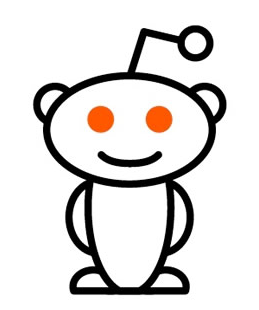 Reddit, which experiences about 75 million monthly visits and is one of the top 100 most visited sites on the Internet, had six hours worth of downtime yesterday which it chalked up to an Amazon Web Services failure. This fact that this all rests on poor Neil Williams’ shoulders right now might seem shocking, as Reddit is doing better than ever traffic-wise hitting 14 million unique visits a month according to Google Analytics. To put this into perspective, competitor Digg (which has 42 employees and has raised over $40M in funding) now has around 9 million unique visitors down from about 16 million in August, according to Quantcast. In a sense Reddit is the unlikely winner of a the voting-on-news race, a competition that has been somewhat forgotten in the wake of Twitter. But the company is absolutely not shutting down, despite it currently operating on a skeleton staff of six people, in addition to a part time designer and a part time customer service person. “In fact, we just had a meeting with the President of Conde Nast, who told us that they are extremely pleased with reddit and the community, and want to give us more resources and more funding. They just approved us to hire even more people than we had originally planned. To further reinforce the point above, our financials are looking quite good for the year. Raldi will be sorely missed. He was the face of our company, and our most prolific blogger. Hopefully some of the new folks that come on after this round of hiring will want to write blog posts, or perhaps I’ll pick up that job again.